After his takeover in 1949, Mao Zedong's China went unrecognized for years by the United States. China was also barred from the United Nations by an American veto. Instead, the U.S. supported the Chinese Nationalist government in Taiwan. Unlike his predecessor, Richard Nixon longed to be known for his expertise in foreign policy. Although occupied with the Vietnam War, Nixon also initiated several new trends in American diplomatic relations. 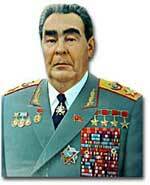 Nixon contended that the communist world consisted of two rival powers — the Soviet Union and China. Given the long history of animosity between those two nations, Nixon and his adviser Henry Kissinger, decided to exploit that rivalry to win advantages for the United States. That policy became known as triangular diplomacy. As part of the Cold War's temporary thaw during the 1970s, Soviet Premier Leonid Brezhnev agreed to import American wheat into the Soviet Union. The two countries would also agree to a joint space exploration program dubbed Apollo-Soyuz. The United States had much to offer China. Since Mao Zedong's takeover in 1949, the United States had refused recognition to the communist government. Instead, the Americans pledged support to the Chinese Nationalist government in Taiwan. China was blocked from admission to the United Nations by the American veto, and Taiwan held China's seat on the Security Council. 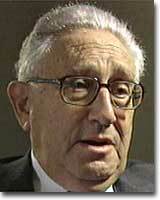 In June 1971 Kissinger traveled secretly to China to make preparations for a Presidential visit. After Kissinger's return, Nixon surprised everyone by announcing that he would travel to China and meet with Mao Zedong. In February 1972, Nixon toured the Great Wall and drank toasts with Chinese leaders. Soon after, the United States dropped its opposition to Chinese entry in the United Nations and groundwork was laid for the eventual establishment of diplomatic relations. As President Nixon's national security adviser, Henry Kissinger made a secret trip to arrange the first-ever Presidential visit to China in 1972. He would become Nixon's secretary of state the next year. As expected, this maneuver caused concern in the Soviet Union. Nixon hoped to establish a détente, or an easing of tensions, with the USSR. In May 1972, Nixon made an equally significant trip to Moscow to support a nuclear arms agreement. The product of this visit was the Strategic Arms Limitation Treaty (SALT I). The United States and the Soviet Union pledged to limit the number of intercontinental ballistic missiles each side would build, and to prevent the development of anti-ballistic missile systems. Nixon and his Soviet counterpart, Leonid Brezhnev also agreed to a trade deal involving American wheat being shipped to the USSR. The two nations entered into a joint venture in space exploration known as Apollo-Soyuz. Arguably, Nixon may have been the only president who could have accomplished this arrangement. Anticommunism was raging in the United States. Americans would view with great suspicion any attempts to make peace with either the Soviet Union or China. No one would challenge Nixon's anticommunist credentials, given his reputation as a staunch red-baiter in his early career. His overtures were chiefly accepted by the American public. Although the Cold War still burned hotly across the globe, the efforts of Nixon and Kissinger led to a temporary thaw. 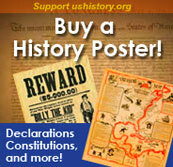 This extensive site is the online version of Nixon's China Game, a film from the American Experience series on PBS. Highlights include an interactive timeline that ranges from 1945 to 1979, and the "People and Events" page that will give you an excellent overview of the evolution of the relationship between the U.S. and China, and the role the Soviet Union played in bringing the two countries together after more than 20 years of mutual isolation. The Federation of American Scientists offers this very brief overview of the Anti-Ballistic Missile Treaty of 1972 between the Soviet Union and the U.S.. The treaty originally allowed the two countries to choose two areas to protect from nuclear attack. If you are researching the ABM Treaty, links will take you to an extensive timeline, documents, and news about this mammoth treaty that remains a big issue to this day. By 1968 the U.S. had dropped about 3 million tons of bombs on Vietnam, twice the amount used on Japan and Germany in WWII. 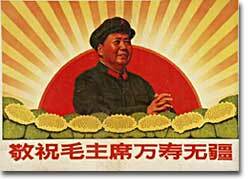 Chinese leader Mao Zedong was depicted as a godlike figure by one of the most intense propaganda campaigns in history. Revelations of his sacred quotes were to be received with gongs, cymbals and praise upon their arrival. After years of isolation between the U.S. and China, the American Ping-Pong team in 1971 were the first Americans allowed in China since the Communist takeover in 1949.